Guitar Making Tip No. 122 is about Sitka Spruce. Sitka Spruce has the highest strength to weight ratio of any wood. This makes it an excellent wood for the internal braces on your guitar, and the reason that it has been the standard for so many years. The guitar is a balance of sound and structure. The body has to hold up against nearly 170 pounds of string tension while at pitch, yet it still has to move freely enough to create beautiful music when played. 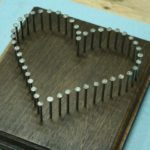 In order to achieve that balance, the wood that you use to brace the top needs to be strong, but it also needs to be light. Lighter pieces of wood allow more movement than heavy pieces, because it requires less force to put them in motion. Heavier woods need much more umph to get started, even though they may be better for structure, they restrict the sound. Sitka has been tested and researched. 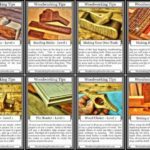 This has been both through objective science as well as through building instruments. This blend of academic and hands on research has lead to the understanding that Sitka is the best choice. Sitka is super light. The braces themselves feel like feathers when you hold them. However, the feather analogy stops right there when you try to break the wood. Sitka is very strong, and can hold up against a lot of force. 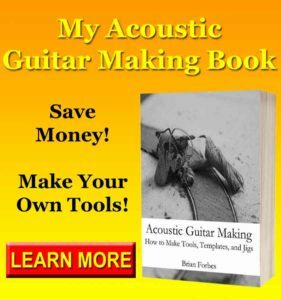 For more like this, take a look at my 25 Best Acoustic Guitar Making Tips for Beginners. The ability of Sitka to be light and strong is why it ends up on guitars. It’s also why this wood has been the premier species for people that build Wooden airplanes. An airplane needs to be strong, but it also needs to be light. When you are building the guitar top, you need to shoot for a balance of strength and lightness, which will give you your best sound. A lighter top moves better, and therefore creates more sound. A heavy top is hard to drive, and makes a poorer sound in general. Be careful though, your Sitka is strong and light, so your guitar top needs to be the same. Without the strength, the weight would not matter. After all, if there is no structure to hold the top in place, it will never have a chance to sound good when played. 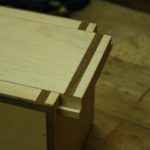 Carefully create your top, and follow an established bracing design in the beginning. This is the best way to get something that will sound good without having to worry about making any mistakes. If you are looking for somewhere to add custom elements, the braces are not it. Instead, try my 25 Simple Ways to Customize Your Guitar Without Altering the Tone. Your assignment is to learn about the strength of Sitka Spruce hands on. Cut a piece of Spruce that is twelve inches long, three quarters of an inch tall, and one quarter of an inch wide. This is the piece that you will be testing. Hold the brace running left to right, one end in each hand. Orient the brace so that the three quarter inch side is facing you, and the one quarter sides are the top and the bottom. This is similar to holding a ruler on edge. Now, try bending the brace along the tall axis and see if you can break it. 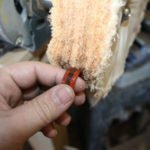 This is a fun exercise, because most of us never test out pieces before using them. You will be surprised to notice that it’s harder to break the Spruce than it would appear. 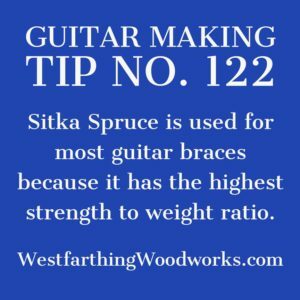 Sitka Spruce has been the number one choice for internal braces on the acoustic guitar for along time, and for good reason. 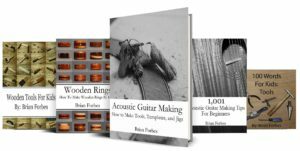 As a beginner, you can save yourself a lot of trouble and stress by simply using the same species for your guitar braces. This type of wood is very strong for the very light weight. Sure, there are woods that are stronger, but they are also much heavier. Pound for pound, Sitka Spruce is the clear winner, because it can be both strong and light. Try it yourself. Create a Spruce brace blank and try bending it along the tall axis. 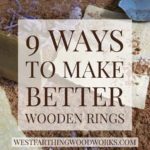 It will be a lot harder than it looks, and it will give you some respect for this simple wood. Millions of guitars have successfully been made with Sitka, and you can do the same thing.